This meter is designed for DIYers who want a low-cost, reliable and easy to calibrate display for tuning their DIY project. 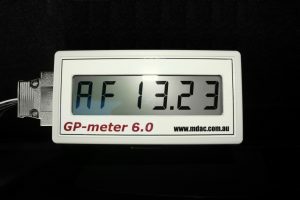 You can see a video of the GP-meter 6.0 here. The Bosch LSU4.2 wide-band exhaust gas sensor circuit accurately controls the sensor temperatures and measures the sensor pump currents to give a precise AFR read-out. The large LCD display is back-lit so is easy to see at night. 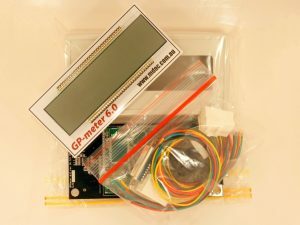 The GP-meter 6.0 can be bought here at my Tindie store with a basic program for a single sensor project. The unit comes already programmed and calibrated, with just a free-air calibration trim-pot adjustment needed for a new sensor. To construct the DIY kit takes about 1 hour, and requires a soldering iron and a few basic tools. The DIY kit can easily be adapted to display CAN bus and OBD2 data when connected to the vehicle network. The project firmware is open source and can be adapted to also show data from CAN, WIFI or GPS. The micro-controller used is NXP ARM Cortex M4 MK60 Kinetis, mounted on a ECUHost 1.4 PCB. All of the open source software and hardware resources can be found here at support documents.